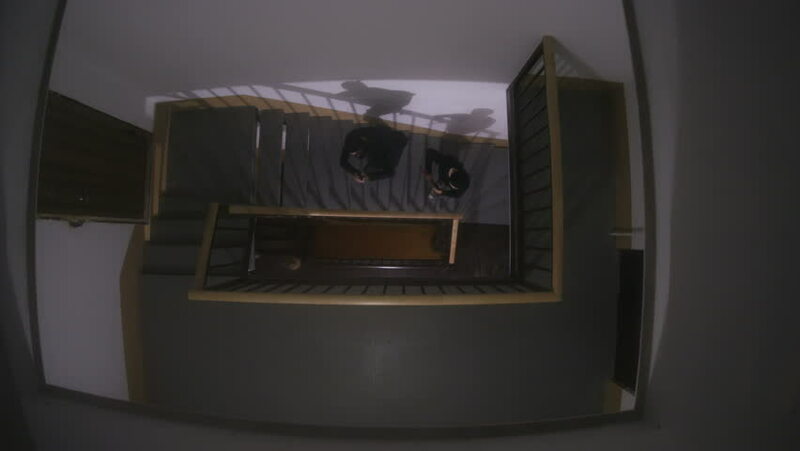 Two suspicious men in black clothes and balaclavas climbing stairs. Bandits with gun and scrap in multistory building. Night time. Indoors. hd01:00Energy pulsed plasma in a fantastic cube, then emits lightning in the air. After that beats a powerful discharge into a mobile phone lying around. And further plasma pulsing again, and then collapses. hd00:25UNITED STATES 1940s: Gretel puppet pushes old woman puppet into oven. hd00:18Vintage interior in western style. Big wooden antique clock with pendulum. Selective focus.